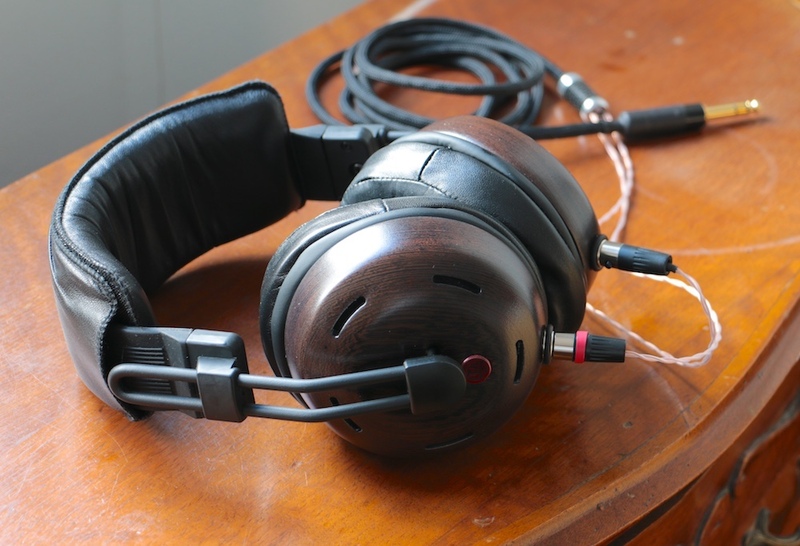 Looking for a headphone that was designed specifically for their amp, Linear Tube Audio and ZMF designed this Omni, ZMF's new flagship, with Wenge wood, a musical wood favored by guitar and instrument makers for its similarity to the highly sought-after Brazilian Rosewood. This dark wood has prominent, attractive grain and is inset with custom red pewter coins that match the signature red screws on the MicroZOTL2. To commemorate the collaboration, "ZMF & Linear Tube Audio" is debossed in the headphone pad. Each headphone comes with a sets of lambskin and a set of cowhide earpads, and is shipped in a portable hard case with the LTA logo. The ZMF & LTA Omni LE is available with either a standard, single-ended cable, or one of ZMF's high-quality braided OCC cables made with Double Helix Cables' nucleotide copper wire, with an anti-microphonic sleeve, also single-ended. Available exclusively through Urban HiFi.